If you’re unsure about the etiquette of sending LinkedIn requests to connect, you’re not alone. It’s confusing at best. From recipients’ standpoint, opening up their networks to complete strangers doesn’t make sense. LinkedIn recommends users only accept invitations from people they know and trust. But many users say LinkedIn’s recommendation to ignore requests from people you don’t know defeats the purpose of social networking—to meet people virtually. After all, they point out, if you attended a live networking event, you’d be there specifically to connect with people you didn’t know. So what’s a professional social networker to do? According to LinkedIn, your goal should be to gather connections that reflect your personal work rather than simply to amass a large number of contacts. Some liken sending out a LinkedIn request to connect to a stranger similar to randomly passing out business cards. LinkedIn instead suggest beginning a relationship by first reaching out via e-mail using the site’s “InMail” messages. Alexandra Samuel, author of Work Smarter, Rule your Email, says the litmus test for accepting a new invitation to connect is whether or not you’d want to do that person a favor. If so, accept. If not…don’t. Instructors: What do you think about sending out cold LinkedIn requests to connect? Does it work or backfire? Share your LinkedIn insights by posting a comment! If you want to discuss this topic in your classrooms, here are a few questions you might pose to your students. 1. 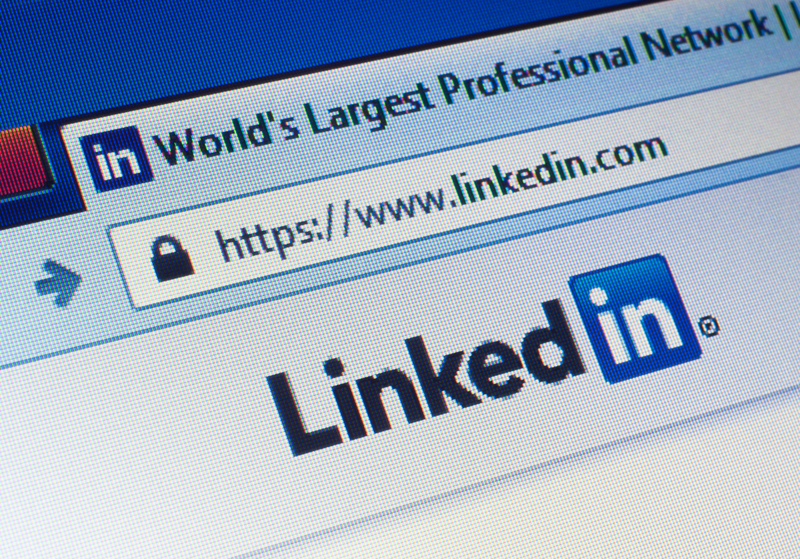 What can you do now to begin or expand your LinkedIn presence? 2. What could be advantages and disadvantages of introducing a headshot into the job search—usually a no-no in job applications? 3. Which writing strategy should you use to compose an introductory e-mail to a person with whom you want to connect on LinkedIn? This entry was posted in 3. News You Can Use and tagged LinkedIn on July 29, 2014 by bizcombuzz. I think LinkedIn is a great business tool, however I could see some difficulties in privacy if the connection was abused. Very true, Rebecca. This is why most competent users of LinkedIn will simply not add total strangers to their networks. One reason is spam. If you let in an unscrupulous marketer, you may be hit with countless intrusive promo e-mails and worse, as you suggest. No, not just anyone should receive a request for this site. It seems to me that this is just a site for Business-Oriented Social Networking, (as I have never heard of this before). Not social networking, like Facebook or Twitter. Miranda, thank you for posting your take on LinkedIn best practices. Some business communicators have compared social media with a cocktail party. Much like an annoying attendee who is giving out business cards to all the other guests, students should realize that sending out blanket LinkedIn invitations is akin to spam. In job searches the old principle still holds: Targeting and tailoring one’s application to the needs of the employer/recruiter is key to success. I think this should be used for business purposes only, a lot of people would probably misuse the site, and could also get involved in some scary situations, people could join to pose a business oriented person, but it could be a hack, and they’d try to get all of your information. I think LinkedIn is a very good resource, however I like to keep certain items private. I like that it is another option than Monster or Indeed.com. LinkedIn is a good option to have. I would lean more towards sending out requests to an audience with the same desirers as you. That may already attract a big crowd, you don’t need people who don’t have the same goals because you are then carrying dead weight. I feel like this could be a very positive tool. But I also think there are things a person wants to keep private as well. With all the different types of websites and hackers its very difficult for a person to know what one to use. Victoria, caution online is certainly indicated, as you point out. However, LinkedIn has become THE job and networking site, so it would be imprudent for students to ignore the platform.